How I get from this 2 x 3 inch doodle … to this 2 x 3 foot painting… Here’s an example of how it all comes together. I’d met Les, Ros and their little boy Sonny-Ray at quite a few car shows, and we’d talked often about having their cars and Sonny-Ray painted. 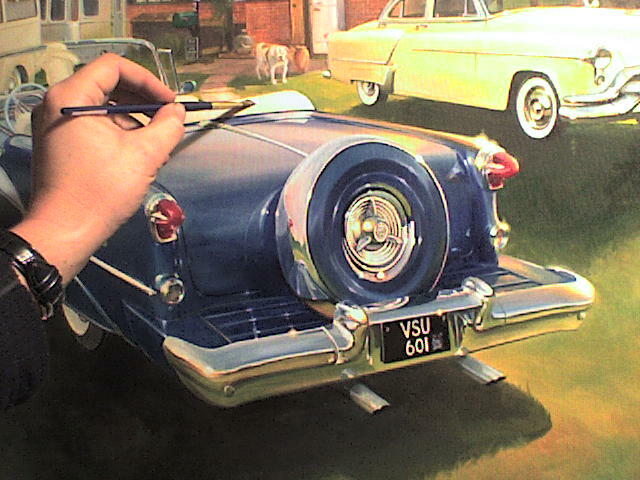 As always, … Continue reading "Creating an Oil Painting"